I have to admit, I am not a big eggplant fan, so when we got one in our CSA, I wasn’t really sure what to do with it. I got a few ideas from my readers on my Facebook Fan page and kinda winged the recipe below. It ended up being pretty good! This was also a great meal to have a little helper on. 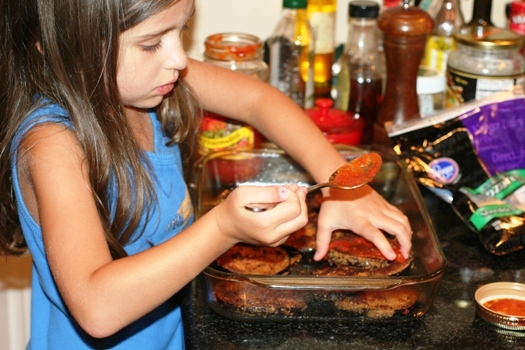 My daughter had a great time assembling the eggplant rounds with sauce and cheese for me! Heat oil in large pan on medium heat. 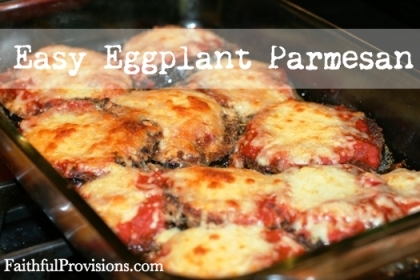 Put the egg and bread crumbs in two separate dishes to dredge eggplant. Turn eggplant slices first in egg, then in bread crumbs. Place into hot pan with oil and brown on both sides. 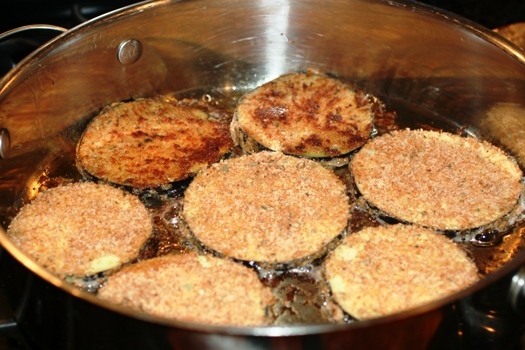 Place cooked eggplant pieces into a 9×13 pan. Top each piece with spaghetti sauce and mozzarella cheese. Cook in 350 degree oven for 15-20 minutes. Serve alongside pasta tossed with remaining spaghetti sauce. Here’s the picture. It was a huge hit with my 4 yr. old. OOh, that’s a great tip. Thanks Kim! It looks so yummy and fun to fix! Quick tip if it’s too greasy for you. 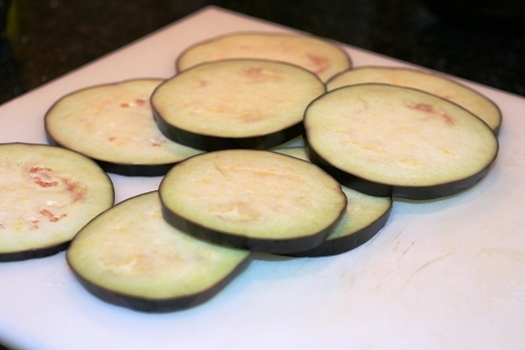 You can bake the eggplant in the oven instead of frying it to make it a little healthier. This is my FAVORITE thing to do w/eggplant. I had never bought it until I found this recipe. I LOVE that we’re getting LOTS of vegetables in our diet w/this recipe. The recipe makes up a veggie “base,” and there are 5 DIFFERENT recipes that you can make w/the veggie base (Black Bean Soup, Pizza, Chicken Soup, Beef/Spaghetti dish, and Shrimp & Rice). We use this to make the Black Bean Soup, Beef dish, and Shrimp & Rice. The GREAT thing about this recipe is that it makes FOUR servings of the veggie “base.” You can freeze these in 4 individual ziplocs, whip them out of the freezer, add a few additional ingredients…and you have dinner. The recipes that you make with the veggie “base” all have different flavors, so it’s not like you’re eating the same thing 4 different ways. 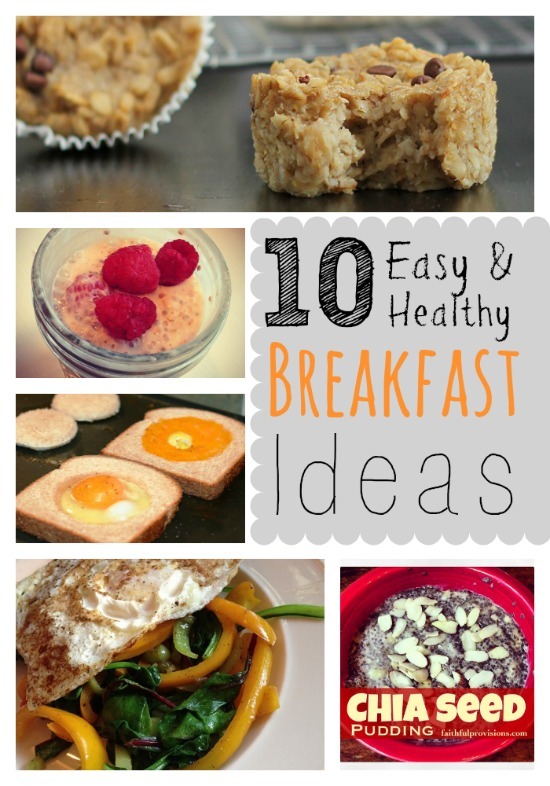 The other thing that I love about this–no processed food! 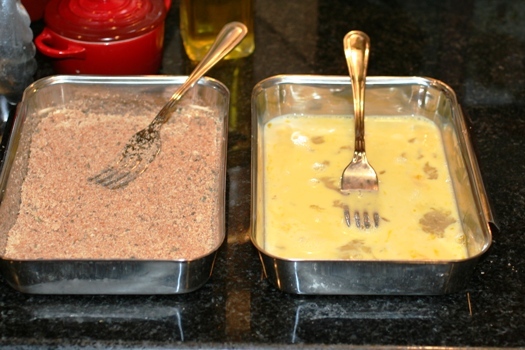 I found the recipe for Greek seasoning online and make it from scracth.